Focusing on corrective and progressive exercise for the baby boomer and senior populations, this course is for Health and Fitness professionals looking to understand and integrate corrective exercise into their training programs with the senior and baby boomers populations. The information is based on the principles of the Integrative Movement System™. Baby boomers and individuals 65 years of age and older are currently the largest growing segments of the population. As increasing numbers of these individuals advance and move into their senior years, a significant proportion of them will experience chronic low back tightness and dysfunction. These limitations are leading to increased reliance on pharmaceutical agents and increasing incidence of orthopedic surgeries. However, by understanding and applying the principles of the Integrative Movement System™ into a corrective and progressive exercise program, the fitness professional can help their baby boomer and senior clients improve alignment and control of the trunk and spine. Additionally, this information will allow the fitness professional to be instrumental in helping improve their client’s functional strength and stability and become the movement-based solution to the health care crisis. 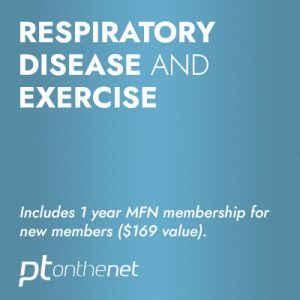 MedFit Network members receive 15% off the price of this course. 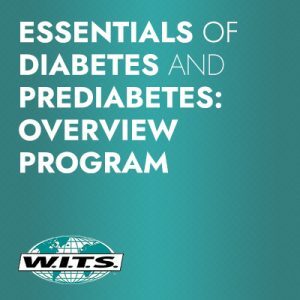 Dr. Evan Osar, the President of the Institute for Integrative Health and Fitness Education (IIHFE), is the developer of this course. He helps you think bigger about your role as a fitness professional, in order that you might help fill the gap between rehabilitation and performance enhancement training. 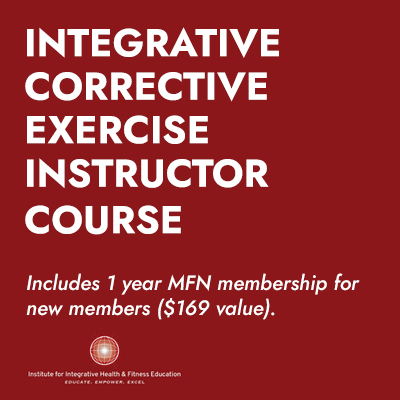 You will discover how the principles of the Integrative Movement System™ – alignment, breathing, and control – of the trunk, spine, and pelvis (thoracopelvic canister) relate to the development of efficient core function. You will be able to perform a functional assessment of their clients to determine range of motion and stability of the trunk and spine. 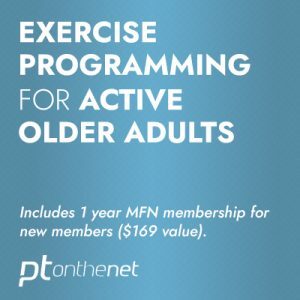 You will be able to apply the principles of the Integrative Movement System™ into an exercise program designed to improve core function in the baby boomer and senior populations. You will be able to perform a functional assessment of their clients to determine range of motion and stability of the hip. You will be able to apply the principles of the Integrative Movement System™ into an exercise program designed to improve hip function in the baby boomer and senior populations. You will be able to perform a functional assessment of their clients to determine range of motion and stability of the shoulder. You will be able to apply the principles of the Integrative Movement System™ into an exercise program designed to improve shoulder function in the baby boomer and senior populations.